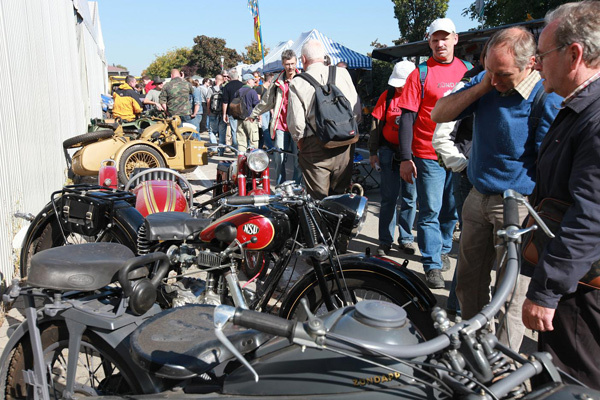 Veterama Market in Mannheim became one of the largest vintage motorcycle and auto swap meets in the world. And Walton Vintage with old-timer Hof-Zinner will be there. See you there in October! Heavy vintage motorcykle from Japan. The 1950s 750s Rikuo are basically the Harley-Davidson 45 cu.in. 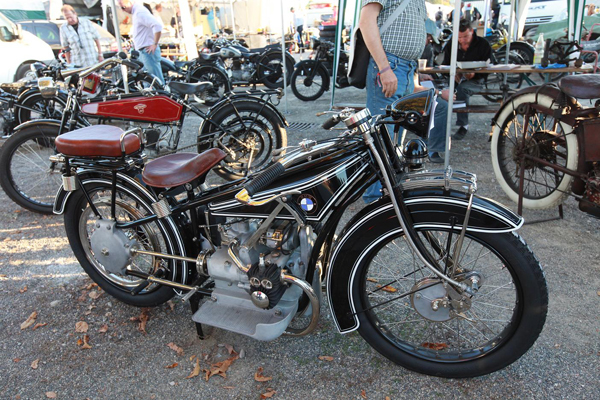 RL of the early 1930s, and the 1950s 1200s are the Harley-Davidson VL of the same era, but both with updated sheet metal (the updated front fork of the RQ/RT ). 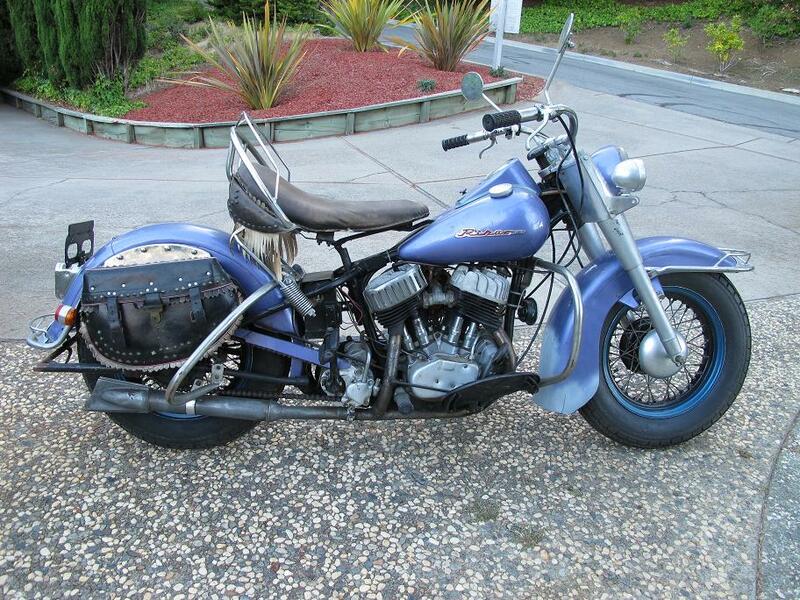 Our Rikuo is 750 cc model RT from 1958, previously own by well know drag racer Patrick Ferguson from Twin Falls, Idaho. Nice example of complete restoration by Walton Vintage. 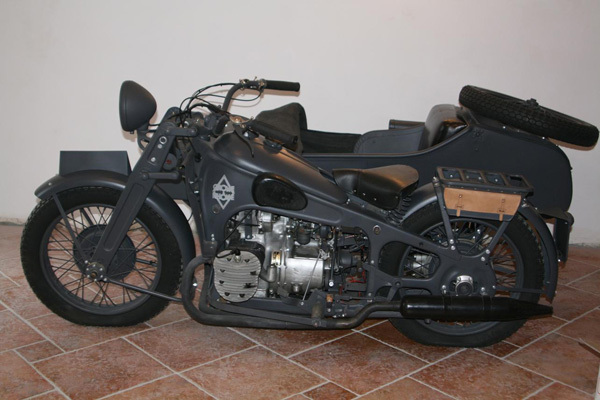 A 1940 Gnome & Rhône AX2 800, 800cc boxer with 2-wheel drive (previously owned by Edward Fruba, icon of Polish veterans motorcycle collectors). Production of these bikes started for the French army but the Germans took over the factory in 1940 and used the bikes for their own Wehrmacht forces. One of many KS601s owned by WaltonVintage. This one was fully restored by cousins Pawel Slowik and Grzesiek Osinski in 2006. 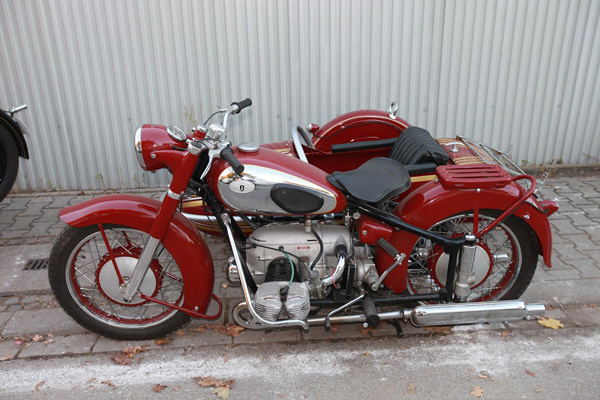 It is U.S. version of “Green Elephant” with sidecar and all matching numbers. After World War II, the company gradually shifted to producing smaller machines, for instance, the “Bella” motorscooter, still a relatively heavy machine for its type. 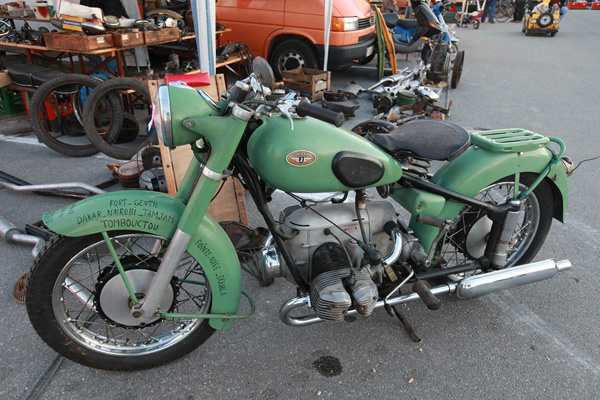 The last of the heavy motorcycles, and incidentally also one of its most famous models, was released in 1951: the KS601 (the “Green Elephant”) with a 598 cc two cylinder engine.